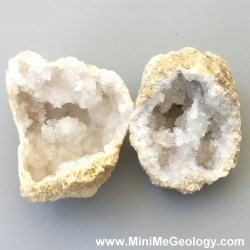 Explore the wonderful world of crystals with these unique Crack-Your-Own-Geodes. Crack each geode open to see the truly unique collection of crystals inside. 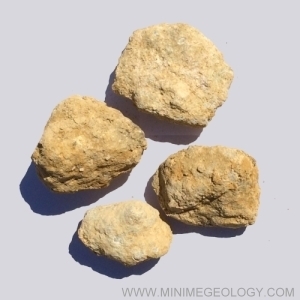 Each geode is approximately 2" to 5" in diameter. Adult supervision required. Ages 6+. Due to heavy shipping weight, this item only ships by Priority Mail. Sold Singly. 1. Wrap the geode in an old sock or towel. You will destroy the sock or towel. 3. Gently hit the geode with a hammer until you feel the rock crack. 4. Unwrap the geode to reveal the crystals inside.